Keeping up with the software update cycle, Xiaomi is now rolling out Nougat-based MIUI 9 for many devices. 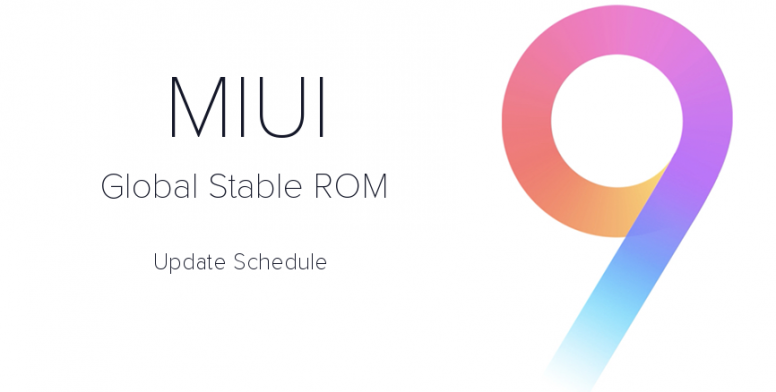 The company has announced a list of 40 smartphones that will be getting updated to MIUI 9. Xiaomi confirmed the news on its official Weibo account. The list includes a majority of devices that were launched in 2017, and some that were launched as early as 2012. Xiaomi will update 40 of its devices to MIUI 9, the latest version of its Android skin. Software updates are important for many people. In addition to new features, they bring bug fixes and security updates too. One of the drawbacks of buying cheaper devices is that they receive fewer updates than flagships. But that isn’t the case for every company. Xiaomi produces a ton of devices that range from flagship prices to under $100, and the company just announced that it’s updating 40 of them to MIUI 9. Because MIUI 9 is so heavily customized, it generally takes Xiaomi longer to push core OS updates. That’s part of the reason MIUI 9 is still based on Android 7.0 Nougat, a 17-month-old version of Android. MIUI probably isn’t going to win over pure Android fans, but it has developed a loyal following for a reason.